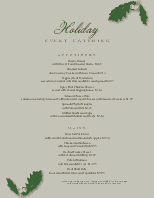 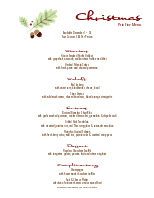 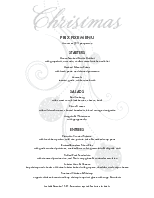 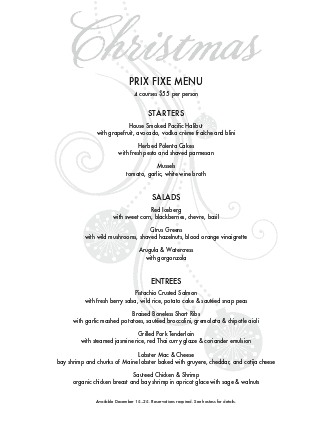 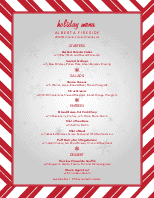 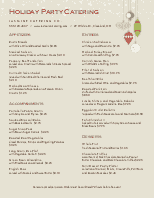 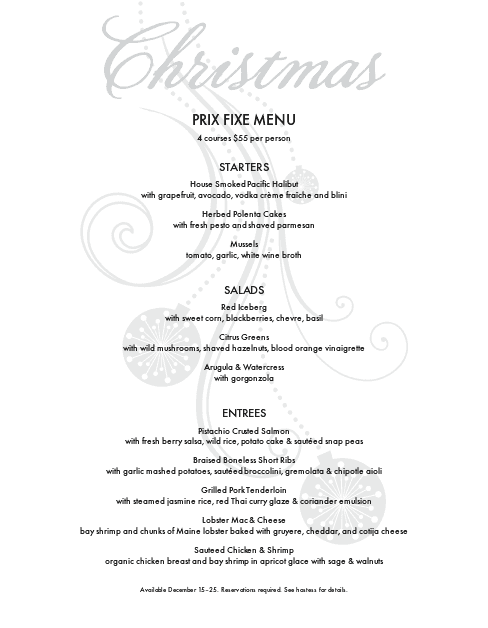 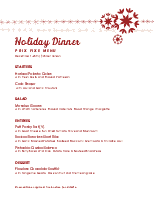 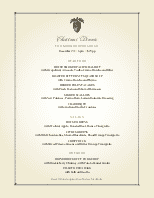 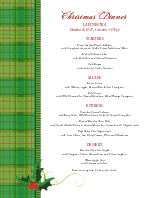 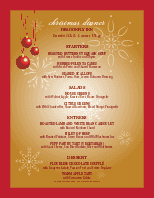 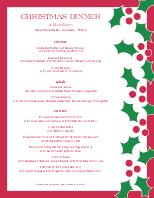 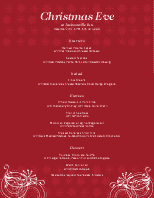 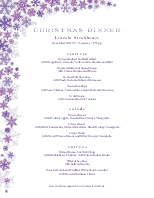 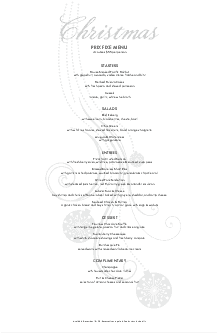 This Christmas eve buffet menu features a stylized image of Christmas bulbs. 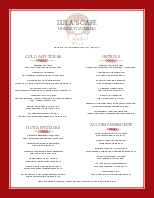 A single list of food options runs down the center of the page. 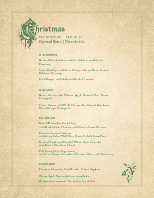 Christmas is written on the top of the page in black script. 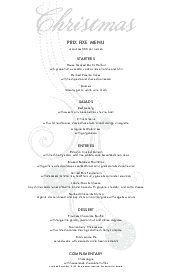 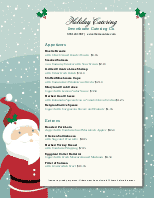 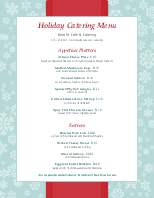 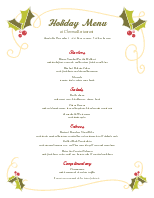 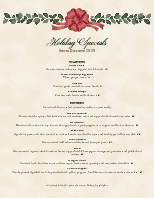 Update this holiday menu online using the Menu Editor.